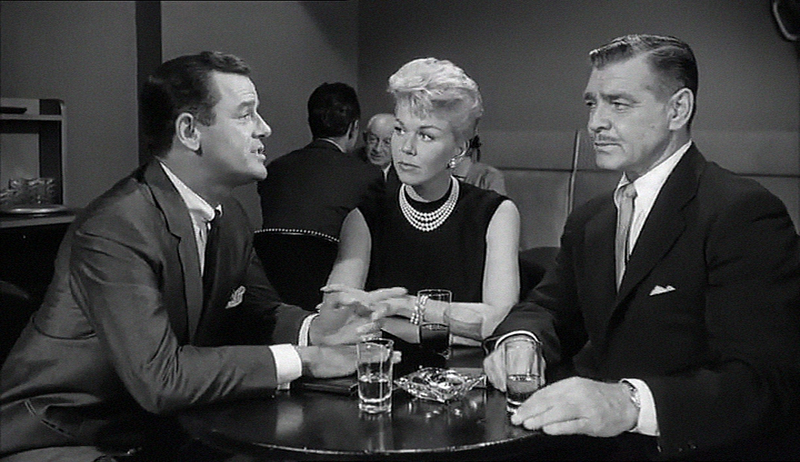 I first came to know Gig Young in the Clark Gable, Doris Day movie, Teacher’s Pet (1958), which I love very much. There is so much to love about that movie, but Gig Young as the hilarious sidekick Dr. Hugo Pine was definitely up there as one of my favorite things about it. Years later, I was troubled one day to find that this superb actor killed his wife and then himself in 1978, in a bizarre murder-suicide. It was unexpected, as they had only been married 3 weeks and seemed very happy at the time of their deaths. I can only surmise that his declining career and alcoholism over the years lead him to it. Gig’s breakout year as an actor would have to be 1948, where he had 3 very interesting roles. The first was as the love interest of Eleanor Parker in the ghost story, The Woman in White. His next role was a supporting role to John Wayne in the drama, Wake of the Red Witch (which interestingly enough is also where John Wayne got the name of his future production company as BatJak was the name of the trading company depicted in the movie), but it was his role as Porthos in the all-star cast of The Three Musketeers along with Gene Kelly, Van Heflin, June Allyson, Vincent Price, Lana Turner and Angela Lansbury that really sent his career rolling. I always found him to be at his best when he was second banana in a string of comedies like Desk Set, That Touch of Mink, For Love or Money and Strange Bedfellows, but that’s probably just me. He seemed perfect as a slightly sarcastic and just-off-of-center-morally supporting character. 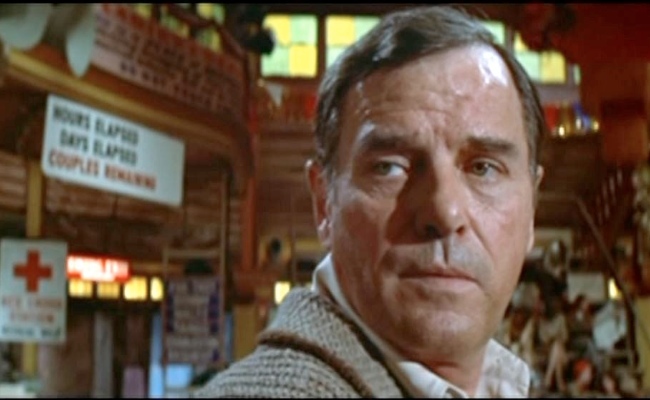 He won an Academy Award in 1969 for his role as the inebriated dance marathon emcee Rocky in the Sydney Pollack directed film They Shoot Horses Don’t They?. Ironically, in 1951 he may have predicted his eventual fall from grace when he said to Louella Parsons, “So many people who have been nominated for an Oscar have bad luck afterwards.” Which is exactly what happened to him. His personal life was devastated several times due to his alcoholism. He was married and divorced a number of times, once to Elizabeth Montgomery, before Bewitched, and even once romantically involved with fellow alcoholic Elaine Stritch. Their destructive relationship is poignantly discussed in Elaine’s Tony-winning one-woman show Elaine Stritch at Liberty (2002), which I just happened to have watched while in a hotel in New York and was delighted to find late one night. He met actress Elizabeth Montgomery shortly after their aborted engagement. The most interesting account of his alcoholism is when he was hired as the gun-slinging Waco Kid in Mel Brooks’s Blazing Saddles (1974). He was suffering from delirium tremens on the set and couldn’t function from day one. Mel Brooks, distraught, called his best friend Gene Wilder to help them as they were already behind in shooting and the studio was losing money daily. Gene took over the role and the rest is history. Two years later the same thing happened when he was cast as Charlie in the hit TV show Charlie’s Angels and was quickly replaced when he couldn’t read his lines without slurring. His life began to turn around when he met and married his fifth wife, Kim Schmidt. She was half his age and a successful German magazine editor. 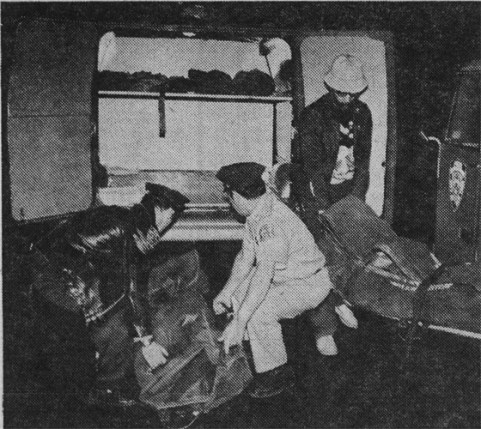 So your guess is as good as mine, why he chose to shoot his wife Kim and then himself in 1978. The couple was found dead in their Manhattan apartment. His Oscar lay beside both of them.